Dig in…get dirty…and make a difference! 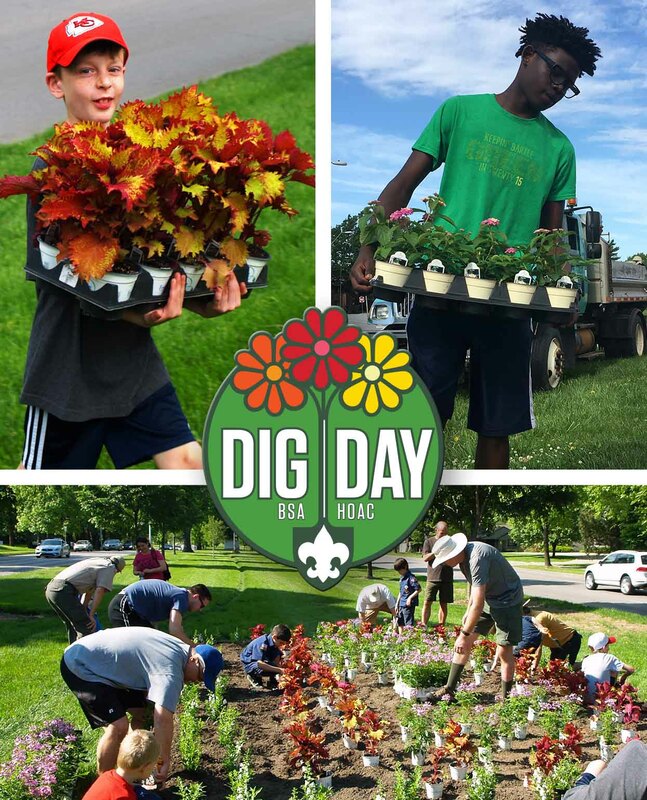 On Saturday, May 13, Scouts and Kansas City Parks and Recreation staff will team up once again for Dig Day - a day dedicated to making Kansas City beautiful. Last year, more than 500 Scouts planted 18,000 flowers in 106 beds across the city on Mother’s Day weekend. We’re asking for your help again to make 2017 even bigger. Mark your calendars now and plan to participate.